Coinbase was valued at $1.5 billion last summer, and just a year later, the crypto exchange could be worth 433% more. Coinbase wants to raise up to $500 million in a new funding round with an $8 billion valuation. While it hasn't disclosed specifics, Coinbase is profitable, according to CoinDesk.com. The cryptocurrency exchange is expected to go public soon, and it just added Chris Dodds of Charles Schwab Corp. (NYSE: SCHW) to its board. The Wall Street Journal launched a test to learn more about the cryptocurrency industry. It created "WSJCoin," a virtual token for the newspaper industry. There weren't too many details in the Oct. 3 WSJ report about the token, but creating the coin was easy. Is Ethereum trading for a discount right now? According to a few analysts, it is. 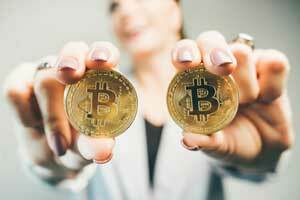 Each month, Finder.com asks a group of cryptocurrency experts for price predictions. Three of those individuals believe the price of Ethereum will reach at least $1,000 by Dec. 31, 2019. From today's price of $220.05, that's a potential return of 354%. Finally, cryptocurrency and blockchain start-ups are seeing a renewed interest from venture capitalists. Through the first three quarters of the year, these start-ups have raised roughly $3.9 billion. That's up 280% compared to all of 2017, according to CoinDesk.com.